Ten percent of all volcanoes in the world are located throughout the islands of Japan. 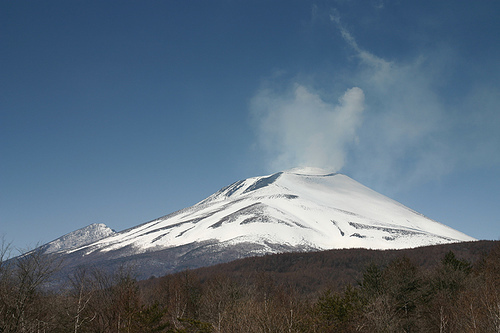 Out of all of Japan’s volcanoes, about 80 of them are considered active today (though this is according to who you ask). The entire country is spotted with volcanoes, from north to south. Japan also has longest recorded history of volcanic eruptions, dating back to Aso erupting in 553 AD. This particular volcano, located in the southern island of Kyushu, has erupted 164 times since. That makes Aso the most active in the country, and one of the largest and most active in the world. Mud eruptions sometimes can occur. Tourists will climb Aso and have to be hospitalized from inhaling its gases; this gas has caused two fatalities. Nevertheless, there is a caldera in Aso where 50,000 people live, and there is even a railway inside of it. The region is called “Hi no Kuni,” which means Fire Country. 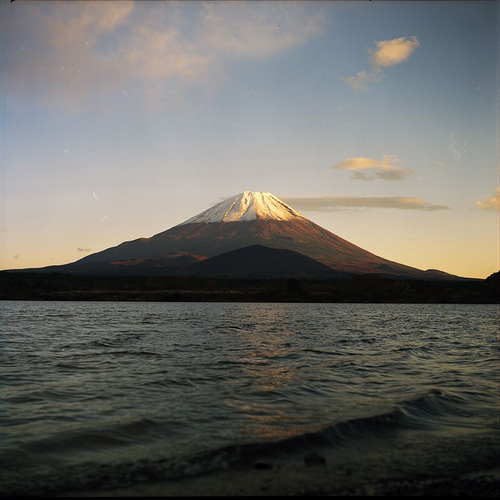 Mt Fuji (3,776 meters) of Honshu, which is Japan’s tallest mountain, has been dormant for over 300 years. However, it is possible that this volcano will erupt again one day. Nevertheless, it is a national nature symbol of Japan, and about adventurous 200,000 people climb this volcano every year. 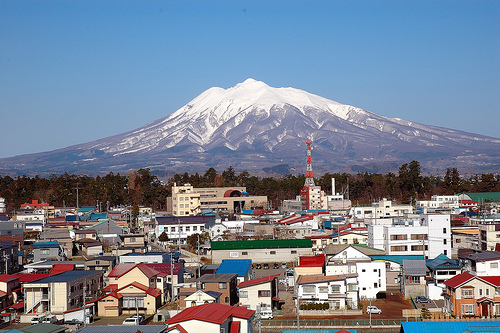 Mount Asama (8,430 feet) is another important volcano, being the most active in Honshu. It erupted last in February 2009, and threw out rocks 1 kilometer away, and ash to 2 kilometers away. Thirteen eruptions occurred on February 16th, 2009, but nothing was too severe. However, back in 2004, violent eruptions threw ash and rocks up to 200 kilometers away, and this started many fires. There are also several volcanic islands. One is the Nishino-shima Volcano, which formed from a continuous eruption from 1973-74. The volcano island of Iwo Jima contains Minami-iwo-jima, which is 970 meters high. These volcanic islands contain Japanese and Korean inhabitants, and there has been conflict over their ownership between the two countries. The islands have plantations and sulfur mines on their premises. In addition to the volcanoes, there are usually up to 1,500 annual recorded earthquakes. Japan is at the location of four tectonic plates: North American, Philippine, Pacific, Eurasian and North American. The volcanic phenomenons of the country Japan could make it an interesting place for geologists, volcanologists and other scientists to move! Those who are terrified of natural disasters may want to avoid this country, or venture to challenge their fears. Those who love risky mountain climbing have very many options.